Alternative therapies are growing in prominence as many people search for the next best non-invasive method for pain relief. People suffering from conditions such as arthritis, fibromyalgia and headaches are consistently searching for ways to alleviate the associated pain without the need for invasive medical procedures and the unpleasant side effects of some medications. When it comes to treating horses in particular, it is important to seek out pain relief that allows the horse to continue their daily routine and training/exercise as effectively as their condition permits. Before diving straight into the world of alternative therapy for horses, it is important to be aware of the pros and cons of the options available and how these compare to other pain relieving techniques. Different products exist to treat particular symptoms or conditions, so knowing which product will have the most impact is crucial to its effective application. To assist we have put together a summary of magnetic therapy and magnetic products for horses. Whilst magnetic therapy is not always recognised for its direct healing properties, it is known to help promote healing within the body by increasing the efficiency of blood flow and encouraging cellular regeneration. Due to the body’s unique composition of cells with electromagnetic charge, magnetic therapy is able to stimulate healing by drawing upon these electromagnetic elements, allowing optimal conditions for healing to ensue. This therapy is considered effective in reducing pain in horses and can be applied through a number of magnetic therapy products. Building upon the benefits of magnetic therapy, the consistent wearing of magnetic leg wraps has been statistically proven to reduce neuropathic pain, allowing the horse to achieve a better quality of life whilst recovering from an injury. Additionally, leg wraps are lightweight and easy to use, so can be worn daily and offer an affordable solution for all horse owners, making them easily accessible to all riders. Magnetic leg wraps and magnetic boots are especially beneficial as they remove any chance of side effects from invasive medication. This makes them an ideal solution for horses that are allergic to any type of painkillers or common ingredients within the medication, or for those competing ‘under rules’ where medication cannot be used. Furthermore, this one time purchase also removes any recurring vet bills for expensive prescriptions. Choosing a breathable fabric to maximise airflow is important for anyone wishing to use any form of magnetic therapy on their horse, particularly if you want to use it for long periods of time. Neoprene, as used in wetsuits is a very popular material for magnetic horse boots, but it is not breathable and can cause sweating, overheating and occasionally allergic reactions if your horse has sensitive skin. Consider the practicalities of whether you will need your horse to be able to wear them in the field as well as in the stable. If yes, how secure will they be and will they stand up to the weather and wear and tear of everyday life? Magnetic Therapy Rugs are ideal for delivering both preventative care and the proactive treatment of injuries or ailments. Putting a magnetic rug on the horse pre-exercise increases the blood flow which can optimise performance levels. Similarly, using the rug on the horse post-exercise will allow recovery to occur at a faster rate. Magnetic rugs can be worn whilst travelling to and from shows or competitions, helping to calm a nervous horse or facilitate recovery from strain, exertion or damage caused at an event. Magnetic therapy rugs can also be left on the horse overnight, providing optimal blood flow for longer periods of time. This is a quick and easy process for the owner and is an easy alternative to administering pain-relieving medication multiple times throughout the day. Some people believe that you need to target the problem area, but it’s not always necessary. There are several different types of magnets used in magnetic therapy products and their strength varies considerably, so does the price. The very best and most powerful magnets are made from Neodymium, they don’t lose their strength and have a far reaching affect all over the body. However the magnetic field, strength and orientation is equally as important as what they are made from. Magnetic therapy can allow the horse’s body to achieve optimal healing through increasing blood flow and encouraging cell recovery, with this acting as a key treatment method for a number of painful afflictions. Here is a summary of some of the most common ailments that can be alleviated through the use of magnetic therapy. 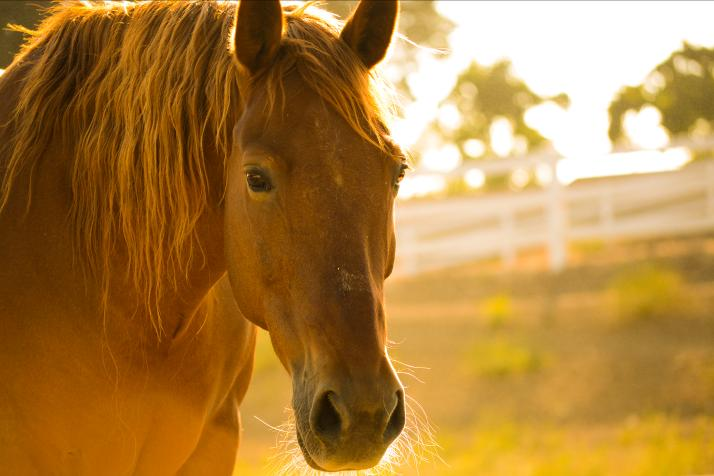 Arthritis is a common problem for many horses, particularly as they age. Horses that are used for jumping, dressage, racing and other heavy impact sports are more likely to be at risk and owners may see deterioration in their weight-bearing joints - in particular, the horse's hocks, knees and fetlocks. This is caused by the slow wearing of cartilage with joint stress and compression slowly wearing away at the protective cartilage that facilitates joint movement. This can become extremely painful for the horse, requiring the owner to seek out effective pain relief. Magnetic therapy can offer an effective solution for horses suffering from arthritis with magnetic rugs preventing the joints and muscles from stiffening and causing pain after exercise. This is opposed to invasive treatments, such as Hyaluronic acid and Corticosteroid injections which have to be done by a vet, this can be costly and sometimes painful to administer and may require additional treatment. Magnetic therapy for the treatment of arthritis can be used alongside other non-invasive treatments, including chiropractic treatments, physiotherapy and massage to target any sore areas of the horse’s body. Not only is this pain relieving but it can be very relaxing for the horse, thus supporting the magnetic therapy treatment. However, it needs to be carried out by a qualified professional so that further damage is not done to the area. The pressure placed on the joints as part of arthritis can be lessened through weight management and this will help over time yet does not alleviate the current pain the horse is under, which is a benefit of magnetic therapy or chiropractic treatment. Using magnetic therapy allows you to continue riding your horse whilst the treatment is occurring, which is key to lessening and slowing down the impact of arthritis. Magnetic therapy may also offer effective pain relief for horse’s suffering from Navicular disease - a progressive degenerative condition that affects the navicular bone, the bursa and the deep flexor tendon or either one or both front feet. This abnormality can cause pain in the horse’s front feet which can result in lameness. Whilst the condition cannot be fully cured, the symptoms can be managed effectively in order to give the horse a good quality of life with minimal pain. Using magnetic therapy may promote healing and keep the condition under control, with horses responding positively when wearing magnetic leg wraps. Whilst pharmaceuticals offer invasive pain relief, magnetic therapy can help to restore your horse to its peak performance, reduce recovery time and help to relieve tired, aching joints and muscles without the need for chemicals, injections and relentless schedules of medication. Situated on each side of the cannon bones both front and back is a smaller bone called the splint bone. Each splint bone is attached to the cannon by a ligament, the two small bones support the large bone. Any injury or trauma to the ligaments leads to the formation of a lump, commonly referred to as a ‘splint’. Splints are most likely to occur in young horses, but they can also affect older ones. When a horse first ‘throws a splint,’ it can be really painful, hot and swollen along the area of the splint bone. Some horses may show signs of lameness, especially on hard ground or when trotting. If your horse develops a splint, act immediately to cool the inflammation. 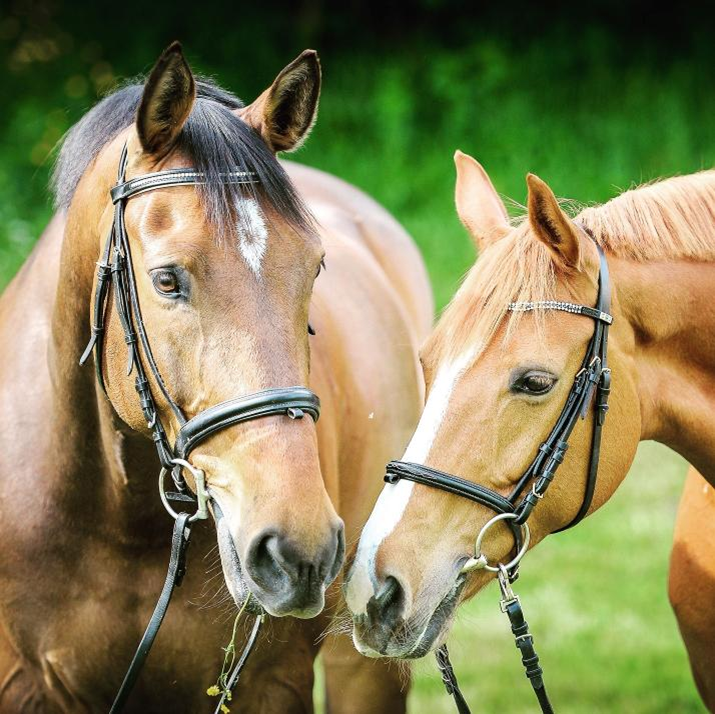 Don’t delay, because by quickly reducing the inflammation and resulting bony reaction, you will minimise the risk of developing a long-term cosmetic blemish and any performance limiting impact on your horse. Rest and anti-inflammatory ‘Bute’ is usually prescribed by your Vet during the acute phase, but there are other things that you can do alongside the conventional treatment. Apply cold therapy to the area for about 20-30 minutes twice a day for the first 5 to 7 days during the acute inflammation stage. Magnetic Horse Boots and Magnetic Leg Wraps may help reduce the pain, swelling and inflammation by increasing blood flow to the area which speeds the healing process. Navigating the alternative therapy market can be tricky, however, magnetic therapy has many universal benefits over other forms of treatment that are just waiting to be experienced. The one-off payment can save many expensive trips to the vet as well as providing non-invasive, pain relief treatment that has fewer side-effects than invasive treatments.